The winners keep getting younger in ultra championships, which is a sure sign of growth in the sport. The top 3 received prize money of $1,000-, 500 and 300 respectively. David Laney, 26, Ashland, OR, (pictured) exchanged the lead with several runners en route to his 8:35:46 winning time, under less than ideal trail conditions. The Rogue Valley Running team member and Nike sponsored athlete, who works out with well-known ultra runner, Hal Koerner, said he was too warm on the first loop, shed some clothes and then needed to run faster because he was too cold during the second 50k. 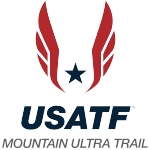 His victory earned him a spot at the Western States 100, where he finished 20th last year, as did the runner up, Paul Terranova, 41, of Austin, TX, in 8:39:44. Terranova, a project engineer at HNTB, Inc., who counts Hoka One One amongst a slew of sponsors, was 4th overall here in ’14 and first masters for the second consecutive year. Crewed by his wife, Merideth, he said he just listened to her and did what he was told and everything worked out. He too earned a spot to WS100 and both he and Laney are looking forward to competing there again. 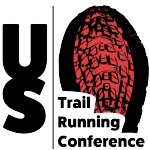 Terranova will also run the Rocky Raccoon 100-mile trail championships on January 31. Rounding out the top 3 was Jared Hazen, 19, of Colorado Springs, CO in 8:47:55, works for Subway and is not related to thee Jared in the commercials. He has already run 8 ultras in his short career and was third overall at the RR100 in ’14. The relatively new ultra runner ran cross-country in high school and also track, where his best 3200-meter time was 9:42. Aliza LaPierre, 34, of Vermont battled Nicole Studer before pulling ahead for a 5 ½ minute victory, in 10:17:15. Studer, 32, the winner in ’15 at RR100 in 15:42, along with LaPierre, earned spots for WS100 in June. Studer, finished in 10:22:46. An attorney in Dallas, TX for Towers Watson Consulting, she is a compliance consultant and hopes to also run Hard Rock 100 in the future. Also reaching the podium was Ashley Lister, 27 of Lockhaven, PA, a student of recreation management at Lockhaven University, completed the muddy, icy trail in 10:41:12. Traci Falbo, 43, IN, was the top masters female in 12:30:49 and along with Eric Loffland, 11:21:24, earned $200 in prize money. 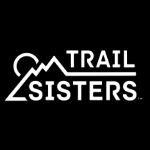 Find more information about the Bandera Trail Races on its ATRA event page.